Public service is not without its field trips and crisis communications. 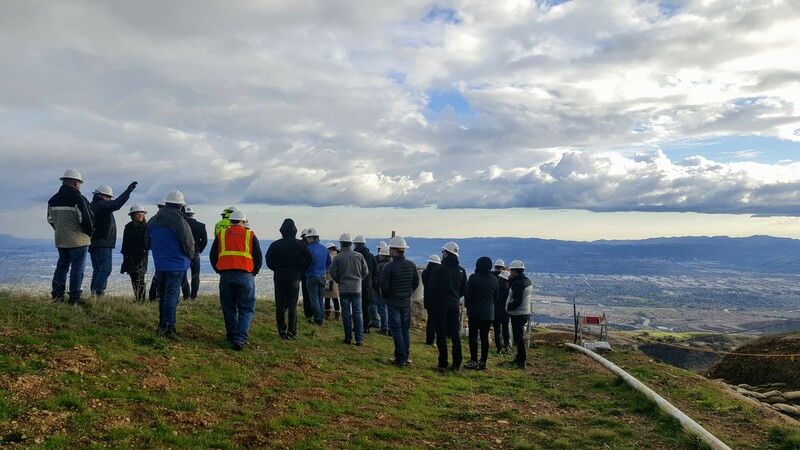 While working public affairs for a California state department with an arm of regulation, I organized field tours to illustrate first hand the regulation work in progress at a privately-owned energy field. Though about 3,000 feet above sea level on rocky terrain awash with active heavy machinery, and some 390 miles away from my office, I outlined a flurry of field tours: one for media, one community members, and a third for local elected officials (Senators, city officials) and staff. Develop airtight and repeatable schedule that incorporates multiple field stops, safety training, demonstrations, FAQ session. Maintain good working relationships with all organizations represented while owning the tour outcome. The tours opened the otherwise private field to select groups in an open by carefully crafted experience, showcasing our department’s commitment to transparency, safety and communication about the ongoing regulations. The level of detail in my run of show plans conveyed how committed our team was to hitting all the key talking points and seeing the most visual examples of the organization’s work. It also gave our very tiny team (of about three) the advantage of knowing the tour schedule, talking points and exact time estimated to drive from point A to B (up to point Z). Representing the organization in front of three separate groups of 25-30 concerned, often confrontational media members, citizens and elected officials was daunting, of course, but armed with a clear, well-rehearsed plan, proper safety gear and our talking points, we ended up having a good experience and a positive outcome.